I asked Columbophile if I could write another post for his blog setting forth my answer. He agreed, so here we are. We decided to use only the episodes he had reviewed thus far, so as not to interfere with future reviews (taking us up to Requiem for a Falling Star). Because the episode that prompted this question, Dagger of the Mind, is “solved” by Columbo planting false evidence in order to trick his suspects into confessing, I think it’s reasonable to infer that the question quoted above is principally directed to the trickery issue. Are police permitted to trick suspects into confessing? The answer is yes, as long as the confession remains voluntary and reliable. And that’s certainly true of suspects who are not in police custody and thus, for example, have no right to receive Miranda warnings. The problem in Dagger of the Mind isn’t the trick, it’s the confession. Lillian Stanhope says: “He was mad. Don’t you see? … He didn’t know what he was doing. … And Sir Roger, that was my fault. … It was an accident.” What is she confessing to – an accident? Furthermore, by law, Lillian’s confession is inadmissible against her husband; and since Nicholas Frame was meanwhile babbling incoherently, we still have no proof against him. Nor proof of the Tanner murder. Hopefully for the sake of the case, when everyone settles down in an interview room at the Yard, the Frame-Stanhopes will be more forthcoming. In other words, the ever-present Columbo will-it-hold-up-in-court issue is this: What has Columbo actually proven? Several weeks ago, Columbophile and I had an exchange about this very question regarding The Most Crucial Game. In my view, Columbo disproved Paul Hanlon’s alibi (that Hanlon was in his stadium box at the time of the crime): the clock in his stadium box did not chime during his call to Eric Wagner although it chimed, chimed loudly, and chimed on time, an hour or so after the murder when Columbo first visited Hanlon’s box. But disproving an alibi is not the same as proving guilt. The one does not necessarily follow from the other. Ransom for a Dead Man is an excellent example of proving far less than we are led to believe. Even assuming that the serial numbers on the $25,000 in cash that Leslie Williams gives her stepdaughter Margaret matches some of the marked $300,000 ransom money, how does this prove that Leslie murdered her husband? All it proves is that she never dropped the ransom money from her plane as she claimed, but kept it for herself. A search warrant for the Williams home undoubtedly will uncover the other $275,000 in marked ransom money. So we will have proof that Lesley used the purported kidnapping of her husband to unlawfully break her stepdaughter’s trust and steal the contents of Margaret’s trust account. But is that enough to prove beyond a reasonable doubt that Leslie killed Paul Williams and arranged a fake kidnapping? Of course, proof beyond a reasonable doubt does not require a “smoking gun.” Many murders are proved circumstantially. In fact, circumstantial evidence can be more reliable that direct evidence, i.e., eyewitness testimony. Eyewitnesses are often wrong. A piece of circumstantial evidence may not prove a lot in isolation, but it usually is what it claims to be. Most Columbos don’t focus on the totality of the circumstantial evidence; they center on the one “pop” clue (as Peter Falk used to call it) that proves the murder case beyond all doubt. Forcing Leslie to reveal her possession of ransom cash doesn’t actually do that. Some clever prosecutor might argue that, at the very least, it proves that Leslie intentionally dropped an empty satchel. If the kidnapping was real, Leslie must have known that dropping an empty satchel would certainly result in her husband’s death. Thus, she intentionally caused his death by this act alone. But this theory requires proof that Paul Williams was alive at the time of the ransom drop – and he wasn’t. When confronted with the ransom money, all Leslie says is: “You’re very lucky, Lieutenant. No, congratulations, you’re very smart.” Is that confessing to murder? No. It may be a tacit admission that Columbo’s nailed her doing something wrong, but fraud and theft are crimes, too. It’s not a murder confession. The episode Columbophile reviewed most recently, Requiem for a Falling Star, has a similar problem. Columbo may have established that Nora Chandler faked Al Cumberland’s drowning – and we can presume that Al’s body will be exhumed from Nora’s back garden – but where’s the proof that Nora murdered Jean Davis? Because “Jean knew” (Nora’s only so-called confession about the Davis murder)? What does that prove? Is there even proof that Nora murdered Al Cumberland? Here is Nora’s entire confession about killing Cumberland: “We had a hell of a fight. We argued, fought, and I – I struck him with a bottle. And he – I-I-I panicked. And I buried him out there.” How does a prosecutor disprove self-defense from that? Hopefully, the autopsy results will establish something less equivocal. At the end of Etude in Black, Alex Benedict sounds like he’s ready to make a full confession. Let’s hope he does because, to this point, Columbo’s case rests on Janice Benedict remembering the then-insignificant act of Alex not putting a flower on. Recalling a memorable event is one thing; recalling something insignificant at the time is hardly ever certain. Incidentally, Alex’s whispered “I’m guilty” to his wife is likely barred from evidence under the spousal privilege. I’m amazed that Columbo has no crime scene photos showing Benedict’s flower under Jennifer Welles’ piano before Benedict returns to the crime scene – but no photos are ever mentioned. Speaking of witnesses, the solution to Lady in Waiting depends entirely upon Peter Hamilton’s recollection of which he heard first: gunshots or the alarm. If Hamilton equivocates on the stand, the case is sunk. Of course, had the alarm sounded first, Hamilton would have heard the shots through the alarm (which he didn’t). So it isn’t merely a “which came first” question, which should help the prosecutor’s case. But it’s still what we call a “one witness case,” and those are tough. Dead Weight is also very much a one-witness case (with corroborating ballistic evidence, as well as corroborating excited utterances made contemporaneously by Helen Stewart to her mother). But if Helen suddenly were to recant out of renewed affection for General Hollister, where’s the proof that Hollister was the shooter? His gun certainly was the murder weapon, but in whose hands? Does Flemming really believe that, with this disclaimer, his statements will be kept from the jury, and that the jury will not be permitted to infer guilt to the extent that his “hypothetical,” “theoretical” statements dovetail with other evidence? Columbo himself will be the key witness in Suitable for Framing. How will the Lieutenant justify being in Dale Kingston’s home – and sticking his hand in Kingston’s private property? Yes, his gloved hands prove that he did not put his fingerprints on the Degas pastels after the other detectives recovered the paintings from Edna’s linen closet. But what proves that Columbo did not find and touch the Degas paintings before lawyer Frank Simpson demanded the search of Edna’s house? That will certainly be Dale Kingston’s attorney’s line of defense – and it will all depend on Columbo’s performance under rigorous cross-examination. The significance of those prints (upon which the prosecution’s case hinges) will be a difficult thing for the jury to follow even under the best circumstances. Columbo will have to exclude other possible sources of those prints. Hopefully, his police reports are more detailed than the cryptic scribblings in his notebook. If not, defense counsel will have a field day with Columbo on the stand. A few Columbos end in confessions by conduct. That can be very powerful evidence. As a prime example, there’s Brimmer retrieving the contact lens from the trunk of his car – and then trying to throw the contact lens away – in Death Lends a Hand. But wait a minute. Wasn’t the lens a phony, and didn’t Columbo both break into and tamper with Brimmer’s car in order to plant it? Yes, but Brimmer made an independent decision to search for and dispose of the lens. 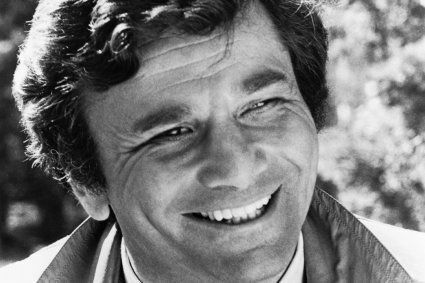 His independent actions attenuate his conduct from anything Columbo did beforehand. There’s also Roger Stanford’s dismantling the cigar box in Short Fuse. Assuming that the eyewitnesses can convey the conduct to the jury as potently as it appears to us on the screen, the prosecution will do just fine. Greenhouse Jungle is a good example of the power of circumstantial evidence. Three matching bullets – one from the victim’s body, one fired into the victim’s car, and one admittedly fired by Jarvis Goodland – is very strong evidence that all three were fired by the same person, namely Goodland. Fortunately, ballistic markings are fairly indelible, so Columbo’s habit of wrapping critical evidence in an old hanky and stuffing it into a raincoat pocket full of who-knows-what probably won’t affect the prosecution’s case in this instance. We know that’s true because we saw the Ferris murder. But how does a prosecutor prove that the actual murder was committed “practically word for word” as Ferris’ notes described: “A wants to kill B. Drives B to a remote house and has him call his wife in city. Tells her he’s working late at the office. Bang, bang”? What’s the proof that Franklin wanted to kill Ferris? What’s the proof that Franklin drove Ferris to a remote house, or that Ferris called his wife to tell her he was working late at Franklin’s suggestion? To me, that’s the problem with proving Columbo’s theory in court. To prove the theory, you first have to prove that Franklin murdered Ferris. And if you can do that, why bother with the theory? Columbo’s job is to solve apparently perfect crimes. Sometimes these solutions, legally speaking, are slightly imperfect. What do you expect? That Columbo is going to catch the killer in the act of burying his victim? Oh, that’s right: Elliot Markham in Blueprint for Murder. Yes, Elliot’s a dead duck in court. We can be fairly sure of that. There you have it. Two pilots and the first dozen Columbo episodes. Many different types of solutions, each with its own challenges, more or less, for the prosecutor. But the jury ultimately will decide. Jurors are people like you. What’s your verdict? As well as being a long-time Columbo fan, article author Richard Weill is a lawyer, playwright and former prosecutor based in New York. Elliot Markham: the only dead cert to be jailed for his crimes in the show’s first 14 outings? Tags: Alex Benedict, Beth Chadwick, Blueprint for Murder, Dagger of the Mind, Dale Kingston, Dead Weight, Death Lends a Hand, Elliot Markham, Etude in Black, General Hollister, Greenhouse Jungle, Investigator Brimmer, Joan Hudson, Ken Franklin, Lady in Waiting, Leslie Williams, Lieutenant Columbo, Lillian Stanhope, Most Crucial Game, Murder By The Book, Nicholas Frame, Nora Chandler, Paul Hanlon, Peter Hamilton, Prescription: Murder, Ransom for a Dead Man, Ray Flemming, Requiem for a Falling Star, Roger Stanford, Short Fuse, Suitable for Framing. Bookmark the permalink. Also prosecutors i’m sure could offers some of the killers that Columbo caught plea deals.Plus Columbo’s job is to find the murderer and once he’s done that it’s up to the prosecution to prove the case. Prosecutors only have the evidence the police provide. If prosecutors can’t prove their case, the police didn’t do their job. Maybe they could just show the juries the ‘Scene of the Crime’ like in Police Squad? “But what proves that Columbo did not find and touch the Degas paintings before lawyer Frank Simpson demanded the search of Edna’s house?” How would Columbo know where the paintings were? He would’ve had to suspect that they were planted there somewhere but he’d have to find them between the time Kingston planted the paintings and the police came to search the house. Too many things would have to go perfectly for that to happen. obviously(Colombo) has lost a lot of court cases. Patrick mcgoohon survived 4 episodes and William shatner 3(I think) are proof of that. Great post! And one thing that’s almost always significant: these aren’t perfect murders. The murderers only THINK they’re perfect murders. That’s usually their undoing. Some of the best episodes — “Any Port In A Storm” comes to mind — are the exact opposite, too. The killer knows that he was sloppy and that if he avoids arrest it’s largely going to be because of dumb luck. Donald Pleasance seems like he’s trying to buy as much time as possible, but overall he’s waiting out the clock. As Columbo said in one of the later episodes, he always has an unfair advantage in these cases. It’s the perpetrator’s first murder. It’s Columbo’s 500th. This was really fun to read. I’ve always wondered about the aftermath of the cases. Thanks for sharing this with us. I’m pleasantly surprised that Columbo’s arrests ( at least those covered here) have odds for conviction that are as good as the article makes it appear. Yay, Columbo! This was an enjoyable post. It’s always a pleasure when an expert can write about his field of expertise with a clarity that allows anyone to reasonably follow along. Thank you. Let’s be honest, no TV crime would make it too a jury. There’s always issues with the evidence. True. But there is also the issue of contaminated evidence. Yes, Columbo handles evidence rather unprofessionally (as I mention in the post). However, in the episodes considered here, I don’t recall that this was ever a significant factor. It certainly will be later (see, e.g., the cheese and chewing gum in “Agenda for Murder”). Excellent post Richard – I have sat on a jury and know how hard it is to find someone guilty. Quite rightly the onus is overwhelmingly on presumed innocence. There are one or two of the murderers who I wouldn’t mind seeing get off – maybe Nora Chandler and Abigail Mitchell? Always keep in mind that the investigations don’t begin with the arrest. The arrest is just the beginning. Columbo only has to prove that it’s more likely than not the accused committed the crime. The prosecuting attorney’s office takes over from there and can subpeona documents, interview witnesses under oath, and obtain additional search warrants. All of this can take several months before the case starts to go to trial. So yes, the evidence can be iffy at the time of the arrest. but by the time the criminal justice system does its job the case can be air tight. I think you mean: “investigations don’t end with the arrest.” While that’s true, it is also true that once an arrest is made, prosecutors have a fairly small window of time within which to make a case better. Good police officers don’t arrest simply because minimal probable cause exists. They arrest someone they are fairly sure the evidence is compelling enough to convict. Yes, the investigation will continue, but one cannot gamble on making a weak case strong once formal proceedings begin. Yes, you caught my typo. Prosecutors have as much time as the Court will allow. The defense can always opt for a trial to begin sooner rather than later. Regardless, once Columbo makes the arrest, a lot more evidence will be gathered by the time the case goes to trial. This is a great post, and it’s a topic that I’ve ended up arguing with my girlfriend about a lot (who happens to be a lawyer). The particular argument came from the ending of “Exercise in Fatality” when she maintained that Columbo’s solution of the tied shoes was entirely circumstantial. I’ve always liked that solution myself, mostly because Robert Conrad is just SO arrogant throughout. Your point about Suitable for Framing is also a good one (though Kingston DID give Columbo the key to his place, so there’s that). I’m also willing to overlook the issue of the prints simply because I love the reveal of the gloved hands so much. Did that authorize Columbo to camp out indefinitely in Kingston’s apartment — or just “look at anything you wish” and then “leave [the key] under the mat when you leave”? Generally, courts scrutinize carefully someone giving police consent to search, and view the terms of that consent narrowly. As I said, it will depend on Columbo, testifying as a witness and subject to cross-examination, to justify what he did. Thank you for another insightful, entertaining piece. I’m going to jump ahead to the end of the series and inquire about “Murder Under Glass.” Columbo reveals the “hard evidence” of the poisoned wine to Paul Gerard, who sinks into submission and confesses. However, if Gerard were to grab the glass and fling it across the kitchen, to what degree would destroying the so-called hard evidence improve his chances of acquittal? Thank you for any clarification! Flinging the glass across the kitchen wouldn’t help one bit. The forensic team can still obtain samples of the poisoned wine that would be left on the walls and/or floors once the glass breaks. And, if my memory serves me correctly, Gerard poisoned the entire wine bottle (with the poisonous opener), not just the glass. So breaking the glass wouldn’t eliminate the evidence in the bottle.